Long positions above 11480.00 with targets at 11630.00 & 11780.00 in extension. 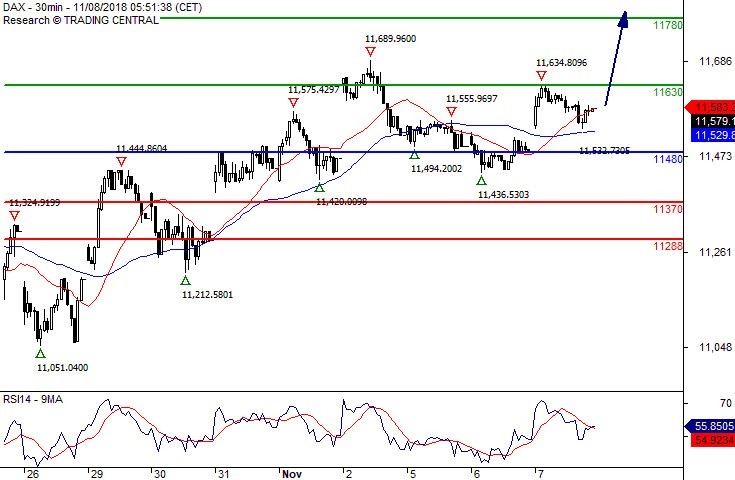 Below 11480.00 look for further downside with 11370.00 & 11288.00 as targets. Long positions above 2774.00 with targets at 2830.00 & 2875.00 in extension. 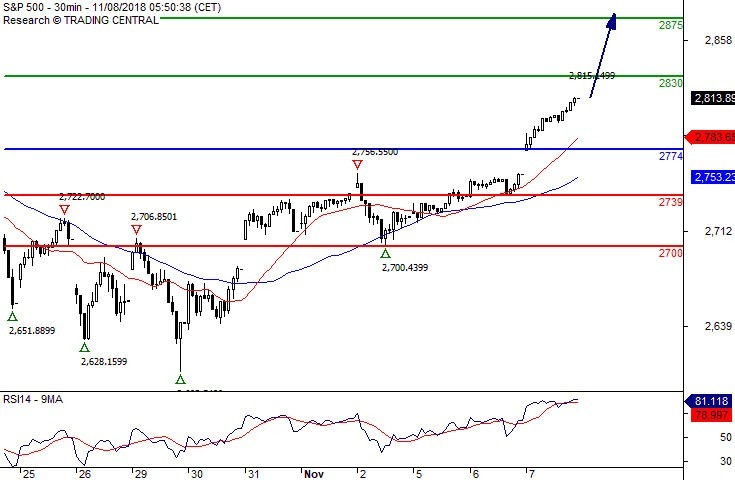 Below 2774.00 look for further downside with 2739.00 & 2700.00 as targets. The RSI is bullish and calls for further upside.